One could not think of a more appropriate venue for this move. Long overdue! 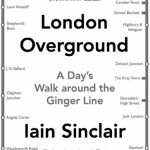 Join us for a special screening of the film London Overground, retracing legendary London writer Iain Sinclair’s journey with film-maker Andrew Kötting around the Overground railway for the book of the same name. Sit back and enjoy snapshots of the city in transition, as the film charts Sinclair walking through this changing landscape, meeting various people along the way. 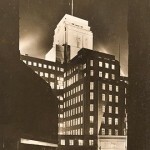 Author Iain Sinclair and film-maker John Rogers will discuss the process of making the film after the screening.